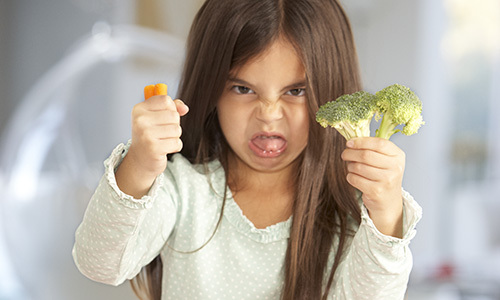 Lunch should provide around a third of your child’s nutrient intake so it’s important to make it healthy and balanced. 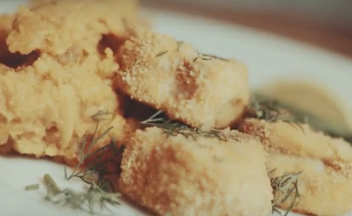 Get the kids involved with this fun and healthy recipe. At weekends when the children are keeping you busy it can be difficult to know what to make, but here’s one simple option that is both delicious and will help keep them occupied. A chicken wrap is a great healthy lunch your children can get involved in making. Tip: chop a bigger piece in half to check that it's cooked thorugh - or use ready cooked chicken instead. It's a great way to use up leftovers from a roast! 3. 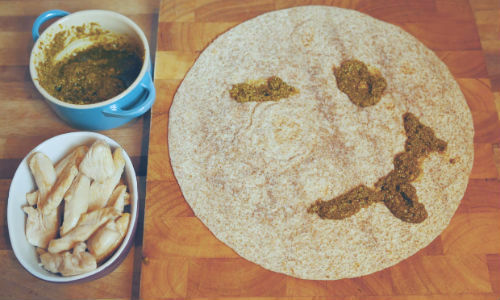 While you cook the chicken why not let your children make a faces on the wrap using the pesto or hummus to add some flavour? 4. Let the children add their vegetables to the wrap and then add the cooked chicken. Hey presto! The wholemeal wrap contains more nutrients and less sugar than a white wrap providing more sustained energy. Pair your wrap with a fruit salad and if they are really hungry or are having an energetic day with a piece of banana bread for a filling and tasty lunch, simple enough for the fussiest of children.